What Is The Best Concealed Carry Insurance Policy? Do you carry a concealed weapon? Chances are, you want to protect your family and will do anything in your power to defend them. If a person enters onto your property, you may even shoot first and ask questions later. After all, you have a right to defend yourself and your home. But, it isn’t as it once was. Now, burglars are suing homeowners that shoot them. It sounds ludicrous to think that someone who illegally broke into your home and may have even been armed can sue you for damages. Right? The truth is that lawsuits are piling up, and homeowners, just like you, are being sued for taking action. For nothing more than self-defense. Concealed carry insurance is now a necessity. Unfortunately, you can and will be sued for protecting yourself with a firearm. Even if the court decides in your favor, the legal expenditures may be too much for you to bear. These uncertain times requires you to have the proper CCW insurance in place. It’s sad that people with a constitutional right to have a weapon are not protected by the law. Do You Really Need USCCA Self Defense Insurance? No one wants or can afford to pay for insurance they don’t need. After all, it’s a shame to spend your hard earned money on something you don’t need. If you’re one of the concerned citizens that has seen the mayhem on television, watching people being robbed and killed in their homes, you know, now more than ever before, you need a way to protect your family. It’s a part of the scary world that we live in. No one wants to envision themselves pulling out their weapon and firing at an intruder. It’s not one of the highlights of a person’s life that they want to remember. In fact, shooting someone else is a horrifying thought. The wrong shot can lead to death, or severe disability. But, in the spur of the moment, you won’t have time to think of the circumstances; you’ll follow your training and shoot without a second thought. Burglar sues homeowner who shot him. Man jailed for defending his family. Tony Martin jailed for killing burglar. Ian Thomson jailed for protecting family against masked attackers. I’m not trying to scare you. But, the government isn’t on your side. Using a concealed weapon comes with its own inherent risk. Why? Excess force. You may have to shoot thinking that this masked man standing in your doorway is armed and dangerous. Heck, I would do the same thing in your situation – like millions of Americans would. You just never know what the other person has in terms of weaponry. And you sure as heck don’t want to wait to find out. If you shoot a man and he is unarmed, you can bet that you’ll be jailed in the worst case scenario and sued in the best case scenario. The media eats up these stories, and your face will be all over the news. You don’t want to be left scrounging for money trying to pay your legal expenses. Obtaining concealed carry insurance would alleviate this financial burden from you. Don’t get me wrong, you’ll still get sued and you may even lose your case depending on the circumstances, but you’ll have the funds to be able to afford a solid defense team. It’s an advantage and peace of mind that you wouldn’t have without insurance. So, if you carry a concealed weapon, don’t wait until it’s too late to look for insurance. If you’re prepared to shoot someone trying to harm your family or break into your home, you need insurance – period. It’s a risk you can’t and don’t want to take. Don’t you think it’s time to get your own home defense legal fund? You’ve properly heard of Texas Law Shield, but USCCA Insurance may be unfamiliar to you. This is the industry’s most complete, member-owned association. There are 120,000 members that have trusted the company with their concealed carry insurance. And they’ve helped members save millions of dollars in the process. Before I discuss the variety of plan options available to you, I want to ask you a question. If you have hundreds of thousands of dollars in legal bills tomorrow, what would you do? How would you provide for your family? Would you sell your home? How about your kid’s college fund, or your potential retirement savings? This are all questions you need to consider when you don’t have concealed carry insurance. 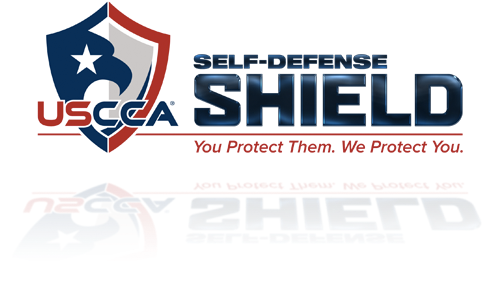 What Plans Does USCCA Self-Defense Shield Offer? There isn’t a one-size fits all plan for your insurance policy. Keeping policy premiums down requires you to have a variety of plan options that fit into your monetary needs and budgets. USCCA offers three distinct plans that will allow you to get the best insurance possible at a price that you can afford. A plan that costs just $13 a month, or $147 if you sign up for a year. The silver plus plan is the most basic offering, and provides you with up to $300,000 in protection. This is the ideal choice for many people because it provides the basic coverage you need at an affordable price. What does the plan included? $250,000 towards civil suit defense and damages. $50,000 towards criminal defense protection and attorney retainer fees. $2,500 towards bail bond funding. $250 compensation per day while you’re in court. This is a substantial package, and one that is so affordable, you can’t pass it up. A middle tier that is the most common option among insurers. The Gold Plus provides up to $575,000 in protection for just $22 a month, or $247 a year. This policy offers the same great benefits as the Silver plan, but with higher monetary amounts. $500,000 towards civil suit defenses and damages. $75,000 towards your criminal defense protection and attorney retainer fees. $5,000 in immediate bail bond funding. $350 compensation per day while in court. For just $9 more than the Silver plan, the Gold plan is definitely more robust and offers a substantial difference in coverage. The biggest tier is the Platinum Plus. For $30 a month or an annual fee of $347, you’ll have coverage that is equal to $1.1 million. If you live in an area that has a high crime rate or a lot of burglaries, the Platinum Plus plan should catch your attention. $1 million towards your civil suit defense and damages. $100,000 towards criminal defense protection and your attorney’s retained. $10,000 for immediate bail bond funding. Compensation of $500 a day while in court. You’ll have the highest level of protection with the Platinum Plus plan, and it’s not high-priced either. It’s the ideal choice for anyone that is in a high risk area or that has a lot of assets which may be sought in a lawsuit. A referral to a local attorney that can help provide you with legal representation. Concealed carry magazine that contains over 100 pages of self-defense and concealed carry articles. You’ll receive 8 issues per year. Online training through a member’s only portal that comes with reviews, hundreds of gun-related articles and real-life stories from members. Stolen firearm protection. If your firearm is stolen, you will be able to have coverage even if the firearm was used in a crime. Critical response team availability 24/7. This is the team that will guide you through the incident and help you harness your membership when you need it most. Psychological support is offered for post-incidents counseling. All of these essential benefits are provided to you through USCCA. You’ll have the coverage you need if you ever need to defend your family with a concealed weapon. And, you’ll pay as little as $1 a day – or less – depending on the plan you choose. Can you afford not to have concealed carry insurance? Click here to learn more about what USCCA can offer you.